The German built Porsche 911 is one of the most famous and easily distinguishable sports cars around. It is well known for its durable and distinctive air-cooled rear engine. From its debut in 1964 up to 1997, it has undergone a number of variations and improvements. One of which is the souped up engine model still found in its rear end. The Porsche 911’s rear engine is undeniably one of the biggest reasons why it has become so successful in the automotive industry. With the engine in the rear end of the car, it gives the Porsche 911 better traction compared to its front engine counterparts. Because of Porsche 911’s success, a host of variations were manufactured based on the original design from the 911. The said variants include the Porsche Carrera, the GT3 and the Porsche Turbo which are also known as the Porsche 964, 993 and 996 respectively. 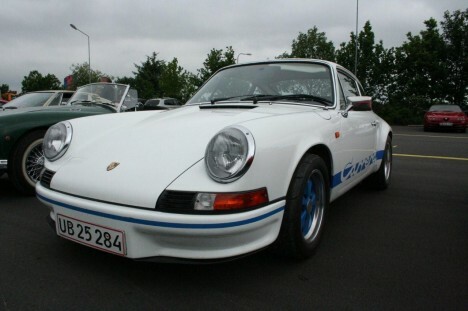 Other models of the Porsche 911 are direct modifications where only a particular aspect, like the engine, was modified. They are indicated by the letter attached to its name, like the A Series which only pertains to the first batch of Porsche 911 cars that were manufactured. The Porsche 911 with its ever famous air cooled engine was first manufactured in 1964. The base model, the 911 replaced the Porsche 356. Alas, it was meant to be larger and more powerful than its predecessor. For the automotive enthusiast, power was only half of the deal, the Porsche 911 had to be more than just muscle, hence its famous exterior design. Aside form its distinctive style, it was more importantly, a car of pure comfort – with interior features much better than that of the 356. But even prior to mass production, the Porsche 911 was already introduced to automotive enthusiasts during the 1963 IAA held in Frankfurt, Germany. It was however called the 901 at the time of the motor show and was only changed to 911 prior to mass production. A delay in the initial car production schedule was due to the petition of Peugeot, another major car manufacturer who found the proposed Porsche naming convention to be very similar to the one which they were using. Peugeot models all bear 0 in the middle of the car model’s name and they are claiming that the 901 will be using their trademark nomenclature. Throughout its production run and even up to recent periods, the Porsche 911 has already won various major automotive awards. Some of the recognitions received by the 911 include second place honors for the 10 Coolest Cars of the 60’s Category from the Automobile Magazine; it was also included in the top three spots for the Top Sports Cars of the 60’s, 70’s and even the 80’s. An international poll was even conducted to determine which among past and existing car models can really be considered the Car of the Century. The Porsche 911 proudly received fifth place out of hundreds of models considered.